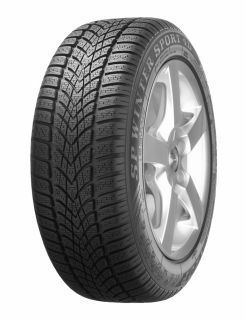 The SP Winter Sport 4D provides exceptional winter handling and braking ability for high performance cars. Combining a unique tread design with high grip materials, it is designed to deliver optimal control on snow, ice, wet and dry surfaces. The unique tread design puts a high number of biting edges in contact with the road, giving you enhanced traction on snow and ice. Deep snow notches grab onto the surface, adding extra grip when accelerating, braking and hill climbing. For days when roads are wet or thawing, the SP Winter Sport 4D features directional grooves designed to evacuate water quickly and prevent aquaplaning. The high grip compound is optimised to deliver shorter braking distances on wet roads. With its lightweight construction and materials, the SP Winter Sport 4D requires less energy to roll – which means lower fuel costs and CO2 emissions from your journeys.